The history and geology of this amazing piece of Italy makes it virtually impossible to list all the activities that our guests can enjoy. We understand that you will be from different parts of the World, come from different walks of life, different tastes and require different needs for a luxury holiday away. One thing for sure is that a holiday in one of the properties at Farmhouses in Italy will not disappoint whatever you aim to do. The BEACHES of Abruzzo are, regarded by some, the finest in Europe. Stretches of golden sand as far as the eye can see lapped by the calm turquoise warm waters of the Adriatic, with imposing hills, which slope down to the shorefront. A quite spectacular sight which only a few countries in the World can boast. Abruzzo truly is a beach lover’s heaven. Only 30 minutes drive away are the lively beaches of Montesilvano. If you thrive on action, atmosphere and do what the Italians do best; pose and people watch, then this is the beach for you. Endless bars and restaurants which stretch south towards the very classy beaches of Pescara and its award winning marina, will certainly keep you occupied in the days and into the evening. If chic and piece and quiet you are after then you can head the other direction towards Silvi and Pineto (‘High Pines’). Just only 40 minutes drive from La Casa Rosa, these amazing beaches are certainly worth a visit. The Pine trees, which stretch along the shore and rustic beach bars, offer fine refuge from the glorious sunny days. The MOUNTAINS and NATIONAL PARKS offer so much the whole year round. Abruzzo is home of the country’s largest, and oldest, Gran Sasso National Park. Only a 30 minutes drive away and 1 hours drive to the Maiella National Park both offering something for everyone. Peaceful valleys, vast untamed mountain plains and isolated hill villages. With a visit in spring, summer or autumn you will not only witness Majestic Mountain scenery but a paradise of flowery meadows and pine oak, ash maple, and yew trees. A rare range of flora and fauna, sightings of the Marsican Brown Bear and almost extinct Apennine wolf are all extra delights to look out for! For skiers the winter can offer some very challenging skiing from December to April. Within an hours drive resorts such as Prati di Tivo, Campo Impertore and Monte Cristo. Further afield Roccaraso and Lanciano Maiella offer some exceptional skiing similar to the standard of the Alps. Italy’s style and heritage is largely down to the influence of the Romans. The HISTORY, CULTURE and ARCHITECURE are very apparent in this very proud region of Italy. The beautiful historic medieval towns and villages, which scatter the landscape, ooze history. There are just too many to list, with their own piece of history and unique features. However a few worth mentioning are Loreto Aprutino. With its imposing Monastery (now a luxury 5 star hotel) dating back to the 17th century on top of the hill overlooking its cobbled streets and the bell tower of San Pietro Apostolo. The famous pottery and ceramic tile-making town of Castelli is worth a visit. Overshadowed by the dominance of the Gran Sasso D’Italiano a wonder round here soaking up the culture and wonderful old houses in the afternoon is a must. Further afield is the capital of Abruzzo, L’Aquila. Saturated in atmosphere and its abundant history, Churches and Roman architecture this is a must for culture junkies. On route why not stop at the thermal spa town of Popoli. Or if you wish to go further a field the Roman spa town of Sulmona offers something different. Twice a year the famous Abruzzo Palio takes place. This is a smaller version the Siena Palio- a traditional horse race around the towns beautiful Piazza Garibaldi, surrounded by colourful period buildings and its gothic aqueduct. This is the birthplace of the sugar almond sweet, confetti. Shops selling this local sweet can be found throughout the town. There is something about Italian FASHION which has its own appeal, envied by many throughout the world. The SHOPPING in this area is fantastic. The newly opened Mergalo, shopping centre in Chieti offers everything shop-o-holicks could wish for. If that is not enough then downtown Pescara and the boutiques in Pineto can offer you that extra fix. If all these activities are not enough, then Pescara is perfectly located to explore OTHER AREAS OF ITALY. Only 2 hours drive away is Rome. 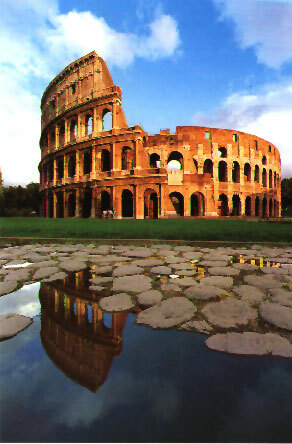 Italys capital city does not need any introdution other than one of the most beautiful and romantic cities on Earth. A scenic journey across the Apennine makes this a superb day out. For those staying a little longer, why not take the 3.5-hour catamaran to Split in Croatia and stay a night. Another trip our guests consider is the 3-hour drive to the bay of Naples and the Amalfi coast where a trip to Pompeii is a must. FOOD and DRINK is very much a part of Italians life. If venturing out to the numerous eateries is not enough and would like to know how it is all made and produced then Cooking courses, Wine trails (Home of the very good quality Montepulciano d’Abruuzzo) and visits to Olive press factories can be arranged. HOUSE HUNTING is becoming very popular in this region. With the spill over effect from Tuscany and Umbria now affecting Abruzzo, many people are now snapping up bargains. With house prices increasing by up to 20% a year and more than 75%-50% cheaper than these more touristy busy regions with pretty much the same landscape and amazing buildings and architecture then this is definitely worth considering. We can point you in the right direction to official agents that don’t ‘rip off’ the non-nationals. We can certainly tell you some of the official well established ones not to go to as experienced by many people we know. Many other nearby attractions and activities include, WINDSURFING, FISHING, HORSE RIDING, CYCLING, MOUNTAIN BIKING, ARIEL SPORTS and many more. Or why not do none of this. Just sit back, do nothing, eat loads of food, drink loads of wine and have a fantastic week away and chill out in some of the most naturally outstanding countryside in Italy.